Do you have at least 2 years of Collections experience at a financial institution? Are you skilled at providing outstanding member experiences? Would you like to work at a multi-faceted, dynamic organization that thrives on teamwork and collaboration? If so, we’d love to talk with you about San Mateo Credit Union’s Financial Assistance Specialist Position! Located in the heart of the Bay Area, San Mateo Credit Union is a community-centric and growth-orientated organization that is one of the most unique and special providers of financial products, services and education in the area. We recently surpassed $1 billion in assets and our future is bright with promise! POSITION SUMMARY: Responsible for the delinquent loans and loans worked in-house assigned to our vendor to assure quality and timeliness of collection work. Responsible for recommending final resolution of these accounts. POSITION RESPONSIBILITIES: Must comply with applicable laws and regulations, including but not limited to, the Bank Secrecy Act, the Patriot Act, and the Office of Foreign Assets Control. Initiates telephone contact on all 61 days +. Monitors all past due loans in these aging categories to assure receipt of payment; Follows-up on a daily basis on any promises that were not kept. Makes the necessary telephone contact as required; Maintains complete documentation of collection activity on our system and flags delinquent accounts as required; Responsible for recovery of all (RDI) and repossession referrals; Recommends repossessions for final review and approval; Makes appearances in Small Claim Court as required; Responsible for closing Visa line of credit based on member’s payment record; Monitors and recommends closing ATM cards to assist in collection activity; Reconcile member disputes i.e. misapplied payments, reversal of finance charges and late fees when it is deemed necessary; Recommends workout loans and extension agreements for final review and approval;; Initiates skip tracing techniques to locate member for recovery of security and legal action; Proficient in handling a teller drawer to process department requests and daily spreadsheets; Monitor the Risk Report to close available lines of credit as required (identify homeowners to cross-sell and gain new business); Responsible for collection related bills and collection agency communication; Responsible for repossession and bankruptcy follow-up; Performs other duties as assigned. Provides service that aligns with SMCU’s Culture2 philosophy: We improve people’s lives, we solve problems when others won’t and what’s best for you comes first for us. WE OFFER FANTASTIC BENEFITS! SMCU reflects the value placed on employees by providing the following impressive benefits in addition to competitive salary: Medical, Dental, Vision, Life, and Long-Term Disability Insurances! 401(k) including generous matching contributions! Semi-annual bonuses for meeting key financial and operational goals! Discounts on financial products and services, including loans ! Paid time off, tuition reimbursement, and much more! Qualifications 1-2 years or more experience collecting on a wide variety of consumer loan products (financial institution a plus) Repossession experience preferred Has a very good “working knowledge” of the Fair Debt Collection Act and other state laws as required. Must be able to understand and execute instructions accurately and efficiently; The ability to manage multiple tasks and meet established goals; Must demonstrate flexibility, tactfulness and persistence in the daily follow-up of loan repayment; Excellent telephonic and organizational skills; Able to handle a high volume of work; Neat and professional appearance. Apply Now for Consideration! San Mateo Credit Union is an Equal Opportunity Employer When applying, please note that you saw the job posted on the NOVA Job Board. If you need help with your resumé, please see a NOVA Career Advisor. Would you like to work at a collaborative organization that thrives on providing outstanding member service both internally and externally? Do you have proven leadership skills and the ability to motivate and develop a team to exceed service expectations? Are you an experienced Branch Manager looking for your next career move? If so, we’d love to talk with you about San Mateo Credit Union’s Branch Manager Position! Located in the heart of the Bay Area, San Mateo Credit Union is a community-centric and growth-orientated organization that is one of the most unique and special providers of financial products, services and education in the area. We recently surpassed $1 billion in assets and are experiencing record-breaking performance results. Our future is bright with promise! As Branch Manager with San Mateo Credit Union, you will leverage your leadership and communication skills to provide an outstanding experience for every member. This includes partnering with employees to make every entrance into the branch a warm and welcome one and educating our members on how to use our digital platforms, where and how they want. You’ll build relationships by promoting a member centered organization and proactively address member needs. Your leadership style will encourage team members to provide an exceptional member experience; and a dynamic and engaging culture. In addition, you would analyze and allocate branch resources and budget to continually meet fluctuating member transaction demand and satisfy service needs, as well as support staff in Business Development efforts within the community. ABOUT YOU You’re a natural leader. You do what’s right – for members, colleagues and the community – and you love to inspire others to do the same. You have a knack for motivating and leading teams to create exceptional member experiences that cultivate long-lasting relationships. You operate independently, with a full understanding of loan, new accounts and member services department operations. You have strong knowledge of credit fundamentals and effective cross-selling skills You're organized and have the ability to function in a high-volume environment. You've been a successful manager within a financial institution for at least 3 years. FANTASTIC BENEFITS! SMCU reflects the value placed on employees by providing the following impressive benefits in addition to competitive salary: Medical, Dental, Vision, Life, and Long-Term Disability Insurances! 401(k) including generous matching contributions! Semi-annual bonuses for meeting key financial and operational goals! Discounts on financial products and services, including loans ! Paid time off, tuition reimbursement, and much more! Apply Now for Consideration! San Mateo Credit Union is an Equal Opportunity Employer When applying, please note that you saw the job posted on the NOVA Job Board. If you need help with your resumé, please see a NOVA Career Advisor. Would you like to work at a collaborative organization that thrives on providing outstanding member service both internally and externally? Do you have the ability to help motivate and develop a team to exceed service expectations? Are you an experienced Teller looking for your next career move? If so, we’d love to talk with you about San Mateo Credit Union’s Financial Services Advisor Position! Located in the heart of the Bay Area, San Mateo Credit Union is a community-centric and growth-orientated organization that is one of the most unique and special providers of financial products, services and education in the area. We recently surpassed $1 billion in assets and are experiencing record-breaking performance results. Our future is bright with promise! POSITION SUMMARY Serves as a primary source to handle member inquires, requests or processing of new transactions. Conduct new account and loan interviews with the ability to profile member needs and use good judgment on recommendation of credit union products and services. Performs assigned cash handling duties associated with the processing of member transactions, inquiries, and daily branch operations. Responsible for assisting with Business Development efforts within the community as assigned. PRIMARY RESPONSIBILITIES •Provides assistance to new and existing members with regard to all Credit Union products and services (includes all deposit products, lending products and investment opportunities available). •Cross-services appropriate products and services to help meet member financial needs and assigned cross-servicing goals. •Assists with Business Development efforts within the community •Processes loan requests, including applications, documentation and disbursal, when necessary. Notifies members when a loan is declined. •Possesses thorough knowledge of Credit Union loan policies, regulations, credit granting criteria, documentation required for each loan type, including DMV and ancillary products. •Opens new membership, checking, money market, investment certificate, IRA, Trust, Uniformed Transfer to Minor Accounts, and carries out requests on deceased accounts and fraud situations. •Solely responsible for the security and balancing of assigned cash reserves and negotiable items at all times. Maintains cash levels, key controls and dual controls in accordance with Credit Union policy. •Within established guidelines and procedures, performs work requiring the use of judgment and discretion in making decisions to satisfy member needs. Recommends alterations or revisions to department policies and procedures as needed. •Performs other related duties as assigned the Branch Lead or Manager. •Provides service that aligns with SMCU’s Culture2 philosophy: We improve people’s lives, we solve problems when others won’t and what’s best for you comes first for us. PHYSICAL DEMANDS The physical demands and work environment characteristics described are representative of those that must be met by an employee to successfully perform the essential functions of this job. Reasonable accommodations may be made to accommodate individuals with disabilities to perform the essential functions. •While performing duties of the job, employee may be required to use frequent physical activities include sitting, standing, reaching, walking, talking, bending, and constant use of hands. •Employee must occasionally lift and/or move up to 10 pounds •Employee must occasionally work before/after the regular work shift •These activities are not necessarily performed to the same degree and combination every day. FANTASTIC BENEFITS! SMCU reflects the value placed on employees by providing the following impressive benefits in addition to competitive salary: Medical, Dental, Vision, Life, and Long-Term Disability Insurances! 401(k) including generous matching contributions! Semi-annual bonuses for meeting key financial and operational goals! Discounts on financial products and services, including loans ! Paid time off, tuition reimbursement, and much more! Apply Now for Consideration! San Mateo Credit Union is an Equal Opportunity Employer Qualifications •Possess a broad knowledge of financial products and services, and preferred experience with the lending process, documentation, and DMV regulations. •Possess strong organization, analytical, interpersonal, service and communication skills •Provide high levels of thoroughness and accuracy •Possess strong cross-servicing skills •Must have knowledge of PC Windows-based programs (Excel, Word, and e-mail). •Experience with attending community events and developing community relationships When applying, please note that you saw the job posted on the NOVA Job Board. If you need help with your resumé, please see a NOVA Career Advisor. Kelly Services is proud to announce we are looking for highly driven candidates to fill the role of Sr. HR Generalist for our client in Redwood City, CA! The Sr. HR Generalist will need to have a strong background in recruiting in the Life Sciences/ Biotech Industries. Responsibilities include: Recruiting (60-75% of role) - Drive hiring needs by sourcing and qualifying candidates, building a strong candidate pipeline, coordinating and setting up candidate interview agendas, managing candidate communications, and negotiating offers with candidates to fill open positions - Assist managers with developing job descriptions and interview evaluations - Evaluate jobs for proper FLSA classification, internal job level, and assessing internal and market compensation data to determine appropriate pay scale - Develop internal career ladders to promote development and growth opportunities - Coach and/or train interviewers on appropriate training techniques and compliance with local, state, and federal employment laws - Manage talent branding for through social media channels and networking - Manage our applicant tracking system, generate recruiting reports and provide analysis on recruiting statistics - Evaluate and manage staffing agency partnerships and develop new partnerships as needed - Assess needs and implement internship programs with various educational institutions, ranging from high schools to universities Generalist (25-40% of role) - Prepare and submit data for Radford compensation survey and update and maintain internal compensation structure - Interpret and coach managers and staff on HR policies and procedures - Facilitate exit interviews - Participate and lead internal employee activities committee - Evaluate and implement best practices for recruiting and HR Requirements: Highly Preferred: - PHR and/or SHRM-CP designation - Experience in compensation, coaching and counseling - Previous experience with applicant tracking systems, preferably JazzHR - Previous experience with HRIS systems and Radford Required: - Bachelor-s degree required in human resources, business, communication, or related field or equivalent number of years work experience - 4+ years- experience with full cycle recruitment. - Minimum 8+ years- experience in general HR work required, with at least 4 years exempt-level experience Highlights: The position comes with a competitive compensation and benefits package, including paid company holidays, paid time off, health benefits, 401k match, subsidized lunch program and much more. If you are interested send your resume to 1422@kellyservices.com for immediate review! Why Kelly®? At Kelly Services®, we work with the best. Our clients include 95 of the Fortune 100™ companies, and more than 70,000 hiring managers rely on Kelly annually to access the best talent to drive their business forward. If you only make one career connection today, connect with Kelly. About Kelly Services® As a workforce advocate for over 70 years, we are proud to directly employ nearly 500,000 people around the world and have a role in connecting thousands more with work through our global network of talent suppliers and partners. Revenue in 2017 was $5.4 billion. Visit kellyservices.com and connect with us on Facebook , LinkedIn and Twitter . Kelly Services is an equal opportunity employer including, but not limited to, Minorities, Females, Individuals with Disabilities, Protected Veterans, Sexual Orientation, Gender Identity and is committed to employing a diverse workforce. Equal Employment Opportunity is The Law. Kelly complies with the requirements of the Fair Chance Initiative. A conviction record does not automatically bar individuals from employment. When applying, please note that you saw the job posted on the NOVA Job Board. If you need help with your resumé, please see a NOVA Career Advisor. 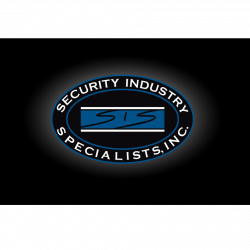 Security Industry Specialists (SIS) provides security solutions to some of the most recognized companies and brands in the world. We deliver services that consistently exceed those of our peers. We accomplish this through innovation, constant process improvement, and through an uncompromising commitment to hiring, retaining and rewarding the best talent available The purpose of this position is to patrol an assigned zone by foot or mobile vehicle, enforce client policy and regulations, and investigate all facility related indents. Ensure that the client, its associates, and facility personnel are provided with a safe and professional working environment. The Security Specialist reports to the Security Supervisor. Specific Duties and Responsibilities Essential Job Functions Provide excellent customer service to the client, its associates and facilities personnel Patrol assigned post on foot or mobile vehicle to maintain visibility and observe possible unusual activity Investigate and report maintenance and safety conditions which might endanger client, its associates or public safety, including fires, evacuations, hazardous situations, or other facility related events; provide back up to client personnel as needed Ensure that daily administrative documentation is kept concise and complete at all times; maintain all daily assigned equipment in functional and presentable condition Respond to all requests for assistance relayed by Supervisor or client; complete various company or client assignments as required; submit reports to superior officer Investigate security related accidents/incidents, interview witnesses, complaints, and victims; responsible for gathering physical evidence and preserving it for future use; complete report and follow up with management as needed Responsible for ensuring that all employees, suppliers, and visitors on company property have proper company issued identification Ensure that the client, its associates, and facility personnel are provided with a safe and professional work environment Responsibilities include crowd control and assisting Police Department/Fire Department/EMS or other officials during these processes; maintain control at traffic accidents, assist victims, and investigate causes Additional Job Functions Perform other related duties as required Minimum Qualifications and Requirements: Valid California Guard Card Valid Drivers License Required Guard card Prior Military and POST grads are welcomed to apply Some Security experience (private/public sector) Supervisory experience is a plus Must be able and willing to work with minimal supervision Basic computer skills Professionalism in appearance, work ethic, and positive attitude are essential NOTE: MUST BE AVAILABLE ONE SATURDAY A MONTH What we can offer: $19/hour Paid Time Off A dynamic and challenging work environment Guard Card Reimbursement After 90 Days Swing Shift and Grave Shift Bonus Security Industry Specialists, Inc. Private Patrol Operator #PPO 13936 Private Investigator #PI 28063 When applying, please note that you saw the job posted on the NOVA Job Board. If you need help with your resumé, please see a NOVA Career Advisor. Our customer is a well -established private practice offering Speech language and Occupational Therapy services in the heart of silicon valley. We are dedicated to empowering individuals by improving their communication so that they can participate fully in their life experiences, and enjoy life to their fullest potential. We are looking for an experienced SLP and or CFY to join our fun loving, enthusiastic and very supportive team. We have several opportunities to meet your needs whether you’re looking for part time, or a full time opportunity to grow with us. We have school district contracts, or in clinic only opportunities with a varied caseload to choose from and clients of all ages from Early intervention to 30 years of age. Continuing Ed Support, mentoring and interaction with other fellow clinicians is part of our practice to help you grow professionally. We have jobs available to start immediately. When applying, please note that you saw the job posted on the NOVA Job Board. If you need help with your resumé, please see a NOVA Career Advisor. pay range DOE up to 20.00 hr ****Must drive each day one's own car to local FedEx / UPS location for end of day drop offs . Valid DVL, own car insurance and clean MVR required. **looking for a mid level (5+ years of experience) with SAP knowledge **Import / Export experience preferred Performs warehouse, logistics, and inventory control functions to include: - ship daily service spares for next day delivery, prepare materials for shipments to customers, affiliates, FSE’s and FSL’s using UPS / FedExand SAP / XPS. - oversee 3rd party offsite warehouse transactions / shipments - maintain warehouse inventory by performing put backs and daily cycle counts. - process the scrapped material transaction on SAP for the BD Repair Center - perform inventory cycle counts, investigating count discrepancies, identifying inventory error sources, verifying empty location accuracy, maintaining computer system inventory integrity, and auditing material-disposition notices and inventory-disposition authorizations Requirements Valid drivers license High school diploma or GED. Some college or Associates Degree preferred but not required. Ability to understand and interpret instructions and inventory variance information. Minimum 5 years experience in a distribution environment. Basic computer proficiency/experience. Must have SAP warehouse transaction experience Ability to stand / walk most of day and lift up to 30 pound packages Good analytical and mathematical skills. Ability to perform/operate in a metrics-driven environment. Good organizational skills. Good written and verbal communication skills. Ability to work under little supervision in a fast paced distribution environment. Knowledge of medical products preferred. General FDA and QSR / GMP knowledge. When applying, please note that you saw the job posted on the NOVA Job Board. If you need help with your resumé, please see a NOVA Career Advisor. Part-Time, Temporary Document Control Team Member 2 Positions Available Responsibilities: At the direction of NOVA Manager and Document Control staff, assist with the review of, maintenance and storage of files and records. Review files for compliance with NOVA and state policies and procedures. Enter data and cross reference information in various systems. Perform general clerical duties and specialized clerical functions. Required Qualifications: Graduation from high school or tested equivalent; and two years of responsible clerical or related experience. Ability to follow verbal and written direction, learn quickly and work under time constraints. Must maintain a high degree of confidentiality. Excellent interpersonal written and verbal communication skills. Ability to understand and follow written and oral instructions. Ability to take initiative and work with limited direction. Computer skills and the ability to use the internet for research. Knowledge of: Alpha numeric filing and retrieval systems, office methods & procedures Ability to lift, drag and push files, paper, books and documents weighing up to 25 pounds. General Information: Salary: $26/hour 15-25 hours/week; schedule to be negotiated. Position is through November 1, with potential for extension. Temporary/casual employees are limited to working no more than 900 hours in a fiscal year (July 1 - June 30) and are unbenefitted. How to Apply: Please send cover letter and resume to Apply@novaworks.org by May 3, 2019. 505 W. Olive Avenue, Suite 550, Sunnyvale, CA 94086 www.novaworks.org NOVA (North Valley Job Training Consortium) provides employment and training services to job seekers and businesses in San Mateo County and northern Santa Clara County. NOVA is a department of the City of Sunnyvale. An Equal Opportunity Employer/Program. Auxiliary aids & services available upon request to individuals with disabilities. When applying, please note that you saw the job posted on the NOVA Job Board. If you need help with your resumé, please see a NOVA Career Advisor. Duties: Manual inspections Labeling Packing Inspect packing Ensure finished product is packed in accordance with procedures and Quality Specifications Timely and accurate documentation of manufacturing activities Device history records Inventory counts Perform simple mathematical calculations Routine cleaning of packing station Handle hazardous waste appropriate Requirements: Highschool diploma/GED Strong attention to detail Min of 6 months of industry work experience Work well in team environment Good documentation practices Familiarity with computers and various software for general business functionality Basic math calculations Flexible for OT as required Must have some experience in the Medical Assembly field When applying, please note that you saw the job posted on the NOVA Job Board. If you need help with your resumé, please see a NOVA Career Advisor. Knowledge and Skills: Effectively Communicate, verbally and writing Mechanical aptitude Dexterity and hand/eye coordination Reach, bend and lift 35lb regularly Experience in DVM’s, Oscilloscope and general test equipment PC or MAC user, Word, Excel, Windows and/or MAC OS Education and Experience: Associates Degree preferred or equivalent from 2 year college or technical school Experience in medical device manufacturing organization Experience testing and troubleshooting laser based optical systems, fluidic systems, digital and analog circuitry Knowledge of LEAN manufacturing, Six Sigma tools and concepts, Demand Flow Technology (DFT) Experience with Oscilloscope Job Description: Conducts production testing of assembled flow cytometers and related medical device products Perform system level and subassembly level troubleshooting to determine root cause and implement correction of assembly or material defects Producing quality products on schedule Typically works on assignments that are moderately difficult When applying, please note that you saw the job posted on the NOVA Job Board. If you need help with your resumé, please see a NOVA Career Advisor. Census Bureau Regional Offices conduct continuous surveys—other than the once-a-decade population count—to supply the nation with important statistics on people, places and our economy. Regional Offices are hiring full-time corporate positions that are located throughout the Bay Area in the following departments. https://www.census.gov/fieldjobs Recruiting Information Technology Administration Field Operations Survey / Statisticians Our Regional Offices are responsible for hiring and supervising these field workers. The local field workers know their communities best, and are the instrumental in conducting surveys with residents on a variety of topics. The Area Census Offices are located in: Oakland San Jose Sunnyvale Pleasanton Concord San Mateo San Francisco Santa Rosa Find out more about all corporate positions in regional offices and headquarters . When applying, please note that you saw the job posted on the NOVA Job Board. If you need help with your resumé, please see a NOVA Career Advisor.